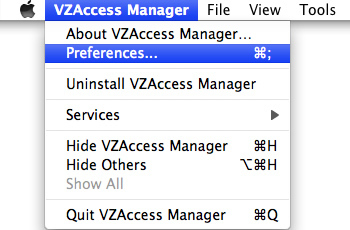 VZAccess Manager software must be installed before inserting / connecting the device to the computer for the first time. Depending upon device and / or software version, some options may not be available. Adjust as desired then click Save. To prevent connectivity when roaming, ensure 'Do not allow connectivity...' is checked. If prompted after any selection, click OK.
LAN Adapter - Auto-connect except when roaming. Locate the APN filed then click Restore Default. If no changes are made, click Close. The default browser will not open upon connection (default setting). The default web browser will open upon connection. The default browser will open then navigate to the specified URL upon connection. The specified application will launch upon connection. Ensure desired options are selected (checked) then click Save. Displays all available networks in the main screen. Text messaging window will appear when a new message is received. A desired sound will be played when a new message is received. Outgoing messages will attempt delivery for 1 hour, 6 hours, 1 day, 3 days or 7 days. Specify a desired callback number. A warning will appear before messages are deleted. Refer to Managing the SIM PIN for additional assistance. Ensure the desired options (Auto-download, Auto-update) are checked then click Save. Connection status notification will be visible in the menu bar. Application is opened when a WWAN device is detected. Ensure the desired option is selected then click Save.